Surajit Sen, one of the leading voices of All India Radio in its heady days of news over voice, decades before the advent of television, breathed his last on May 6. One of the iconic AIR newsreaders whose objective reporting was what the nation used to stay tuned to, Surajit Sen was a colossal figure in radio journalism. AIR newscaster Surajit Sen was the first Indian to report the liberation of East Bengal (now Bangladesh) in 1971. 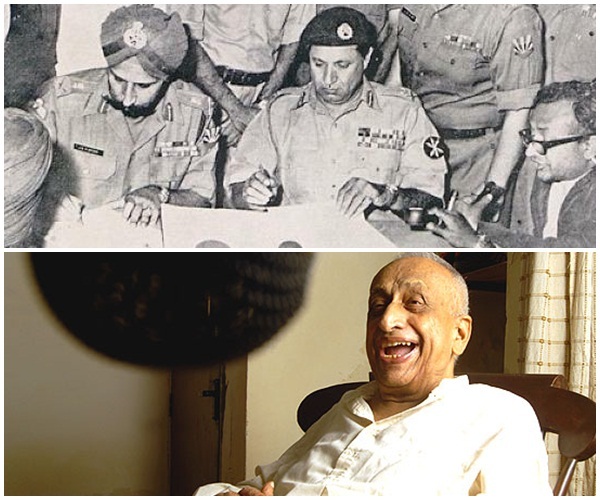 He braved all adverse circumstances in Dhaka and reported the signing of the declaration of East Pakistan’s independence by General Amir Abdullah Niazi of Pakistan. His reporting of the terrorist activity during the 1972 Munich Olympics was an exemplary act of courage in his career at All India Radio. When Surajit Sen was in Munich for reporting the Olympics events, a group of Palestine terrorists kidnapped and killed some Israeli athletes. He recorded and scribbled the mishap by taking refuge in a ditch. When he came back to India from East Pakistan, he brought interviews of the newly founded Bangladesh’s top political leaders. During his illustrious career at All India Radio, Surajit Sen had the distinction of having interviewed many dignitaries, including India’s first Prime Minister Jawaharlal Nehru and Indira Gandhi, one of Nehru’s successors. Interestingly, Surajit Sen joined All India Radio just a day after India became independent on August 15, 1947. He walked into the All India Radio office in Delhi and immediately bagged a newscaster’s job on strength of his baritone, which awed the nation when he started, “This is All India Radio, the news ready by Surajit Sen…” It was his booming voice that rewrote his destiny by turning the direction of his career path from the Indian armed forces to radio journalism. During his 2-year stint in the army, he was advised to make the most of his god-gifted voice in radio news reporting, one of the most coveted professions in those times. AIR news reporter Surajit Sen toured different parts of the world for live reporting, which earned him a celebrity status and brought him to the notice of many luminaries from different walks of life. He was known for not only unambiguous reporting but also punctuality. He would come to All India Radio’s news service unit before the scheduled time and took several readings of the day’s news before he hit the microphone with his baritone in the studio. Neither celebrity status nor international fame swept him off his feet on ground. He was an amiable Bengali at heart. He was true to his profession with an overwhelming sense of responsibility. The way he reported and read out news was a far talk from high-pitched commentary. With facts and figures on his fingertips, he never gave in either hysterias or rumors. Surajit Sen left behind a priceless legacy of objective reporting and no-nonsense journalism, which has inspired generations of newscasters. His demise at the age of 89 put an end to the era of news broadcasting when All India Radio was the undisputed king of Indian media. Travel Beats is a digital portal for Indians and NRIs by IndianEagle, a leading international travel organization. It publishes the latest news, interesting features, inspirational stories and useful tips about travel, tourism, aviation, culture, entertainment and philanthropy.